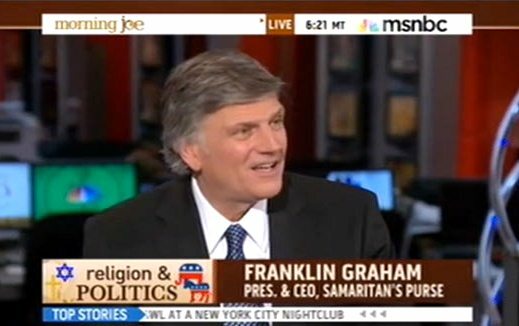 Franklin Graham is one of the Godliest men I know. You will see him or his team to be the first responders at any disaster. They were loaded and ready to go to H. Sandy long before FEMA came and FEMA did very little. This is a great man of God and he speaks the truth. Thats why I financially support him, I do’nt trust just anyone. Thanks Carole, God bless you and keep seeking His truth!